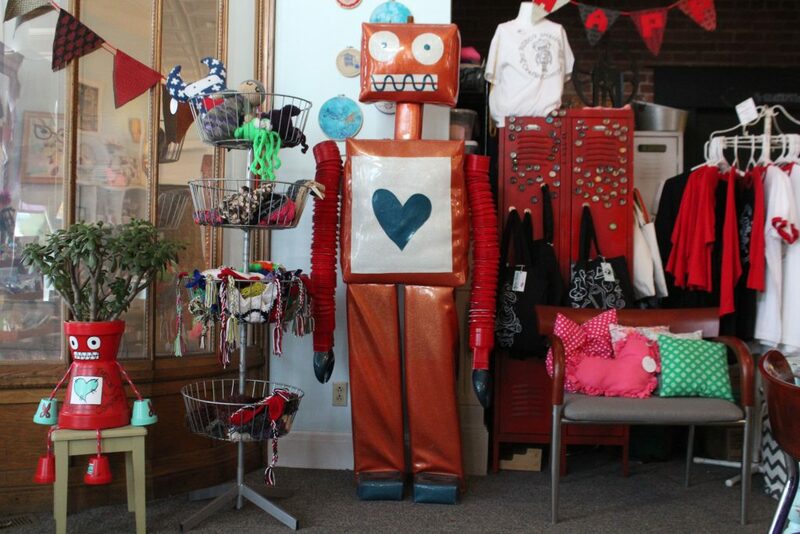 Robot Inside, a handmade goods storefront and workshop space in Reading, creates a jump-start for crafters. For the past 10 years, Tara Heilman has kept a planner detailing every hour of her waking day. If you allow for eight hours of sleep each night, which, let’s be honest, is a dream scenario, that’s about 58,400 hours of detailed activity. She’s kept herself busy with crafting projects, mostly, and in 2015, she opened Robot Inside, a crafting incubator and storefront. 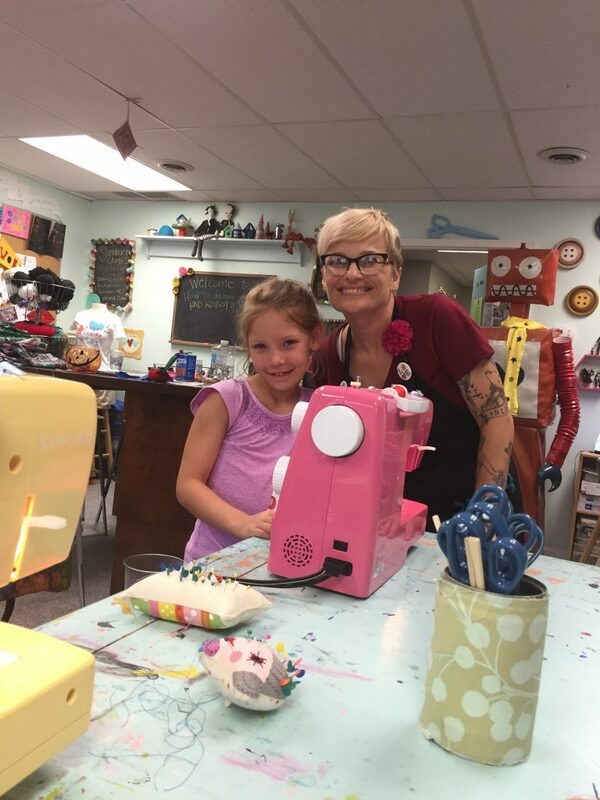 Last February, Heilman moved Robot Inside from its Sharonville location to a larger storefront space in the heart of Reading, where she teaches aspiring and accomplished crafters how to make it in the business. 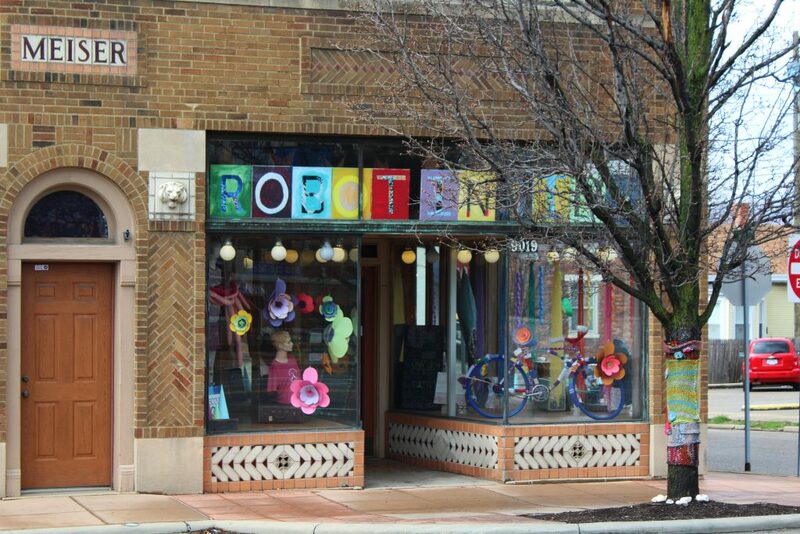 Five days a week Heilman hosts workshops at Robot Inside, including how to crochet miniature cats, make slime, or sew zippers. When her students—who are typically half her size and wide-eyed—ask Heilman where her ideas come from she tells them, “I have a robot inside of me that tells me what to do.” The expression started as something silly she said to her own kids. “One day when my son was 8, he came home from school with a picture of robot he made in art class,” Heilman says. That picture is now Robot Inside’s logo. In 2009, Heilman worked in the restaurant industry as a manager at Joseph Beth’s Brontë Bistro. She hated it. “It wasn’t really a good fit for me; it was just something I had been trained to do,” Heilman says. She felt unfulfilled and yearned to get back to her creative roots. At age 6, her grandmother taught her to sew, and she never stopped. Three months after quitting her restaurant job, custom orders started flooding in for her one-of-a-kind owl pillows by word of mouth. Heilman saw an opportunity in Cincinnati’s first City Flea in 2011. She sold out of everything in her booth without “selling out.” Simply put, she was making money doing what she loved, which she never thought was an option. You can still find Heilman selling her plush art pillows—like her show-stopping giant squid pillow—at local markets such as the Oakley Fancy Flea.